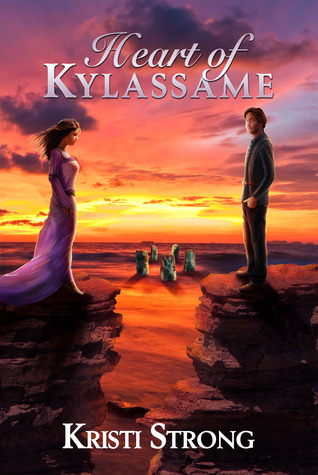 Subject - book review - Heart of Kylassame> Review>I received this book from the author and from Paranormal Romance and Authors that Rock.>This is book two in the Land of Kaldalangra Series and ends in an HEA. >The story of Rowan and Rhea continue 2 years later. They are to be married, Nyssa is queen and married to her true love and the land is prospering. Rhea realizes she is pregnant, but before she tells Rowan, she miscarries. This event throws Rhea into a depression. She is summoned to court to help with a newcomer from Rhea's time. Rowan cannot come at that particular time, but promises to follow in a few days. Rhea experiences quite a few sad events which, coupled with the fact that Rowan is not with her and her post miscarry depression, sends Rhea into a depressive vortex that she cannot come out of. >Queen Nyssa, Rhea and others frantically write to Rowan begging him to come to court to save Rhea. Rowan, however, is tricked by a woman who always wanted him. She hides the messages so he does not realize he is needed. She fakes a serious injury to put Rowan in compromising situations.>Most of this book was the conflict in the relationship of Rowan and Rhea. The majority of the story was spent with these 2 characters apart. I totally understood the depression spiral and Rowan's ignorance of it. I even understood how he could be tricked by the woman, Amanda. I did not understand the constant back and forth that Rhea seemed to go through when it came to sticking by her marriage. She never seemed indecisive before, but with this huge commitment, she has trouble?> This book is for a young adult (14+) audience. A bit more description of a sexual nature is revealed, but nothing blatant.